Co-creators David Benioff and D. B. Weiss have said that the seventh and eighth seasons would likely consist of fewer episodes, stating that after season six, they were "down to our final 13 episodes after this season. We're heading into the final lap". Benioff and Weiss stated that they were unable to produce 10 episodes in the series' usual 12 to 14-month time frame, as Weiss said, "It's crossing out of a television schedule into more of a mid-range movie schedule". 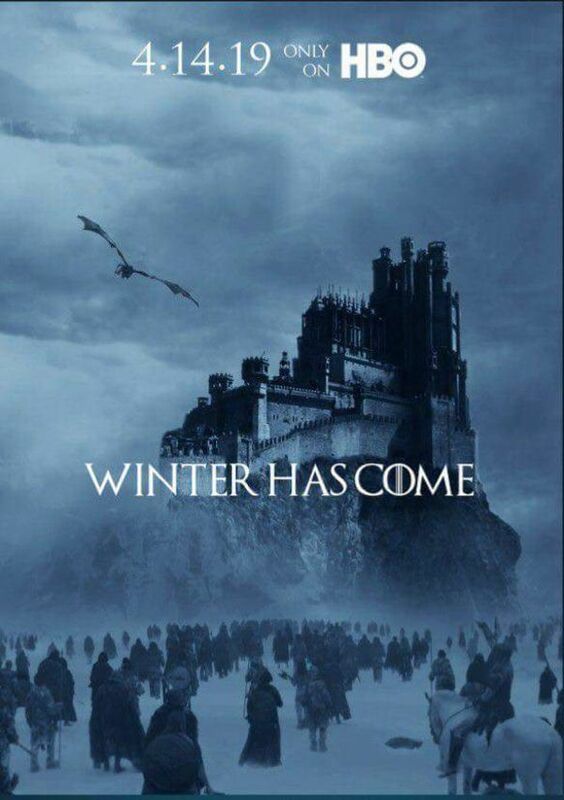 HBO confirmed in July 2016, that the seventh season would consist of seven episodes, and would premiere later than usual in mid-2017 because of the later filming schedule.Benioff and Weiss later confirmed that the eighth season would consist of six episodes, and would premiere later than usual for the same reason. Benioff and Weiss spoke about the end of the series, saying, "From the beginning we've wanted to tell a 70-hour movie. It will turn out to be a 73-hour movie, but it's stayed relatively the same of having the beginning, middle and now we're coming to the end. It would have been really tough if we lost any core cast members along the way, I'm very happy we've kept everyone and we get to finish it the way we want to".The first two episodes are, respectively, 54 and 58 minutes long, while the final four episodes of the series are all more than an hour in length–episode three is 82 minutes (making it the longest episode of the series), episode four is 78 minutes and the last two are each 80 minutes. A two-hour documentary, Game of Thrones: The Last Watch, which documents the making of season eight will air on May 26, the week after the series finale.